As a junior Rellihan caught 48 passes for 881 yards and 11 touchdowns in SM East's 11-game season. Things are setting up nicely for Rellihan to gain over 1,000 yards receiving in his senior season. In May, quarterback Jordan Darling transferred to SM East, all but ensuring another successful year for the Lancer's passing attack. What's more, Rellihan will be the team's go-to receiver after playing second option to Elliot Faerber the majority of last year. There's quite a bit to like about Rellihan's game. For one, he has the speed to take any catch the distance, evidenced by his 80-yard touchdown reception against SM Northwest in Regionals last year. More than anything though Rellihan is a player who goes out and give you a consistent effort week in and week out--he ranked among the league's top ten in all receiving categories throughout the 2011 season. A great year of experience under his belt combined with a tremendous quarterback should make Rellihan one of, if not the top wide receiver in the Sunflower League in 2012. 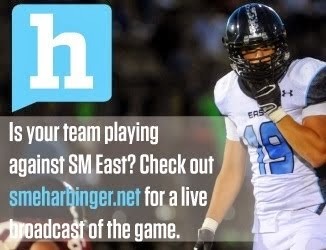 His staying healthy and continued high-level performances will be essential to SM East on the offensive side of ball.